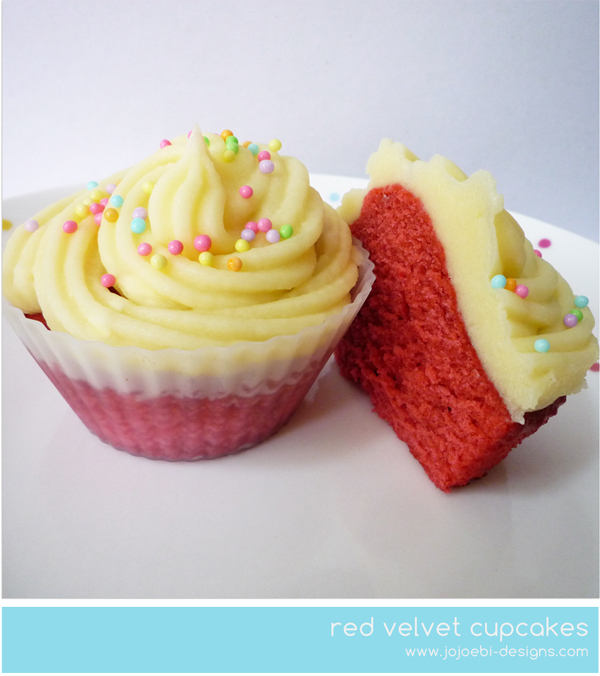 Yes, I know, red velvet cupcakes are so... last year! And the whole cupcake craze never really took off here. So, I have never tried one and all the recipes I had seen used some ingredient or another that I couldn't get here... until now! I belong to a Facebook group called Japan Friendly Recipes, where we share recipes and cooking ideas specifically for living in Japan, workarounds and cheats or alternatives to traditional recipes where the ingredients are not easily available. One of the members posted this recipe and shared that you can make buttermilk by adding a tbsp of vinegar to regular milk, who knew? I didn't. I didn't add as much food colouring as the recipe states, I halved the recipe to make 12 cupcakes and added about 1/3 of a tsp of Wilton food gel, added it to the cocoa with a bit of the water to make the paste but followed the rest of the recipe. Took a bit longer than usual to make but Ebi-kun helped and the texture of the cake is different to my usual cupcakes. Our final verdict is 9/10. 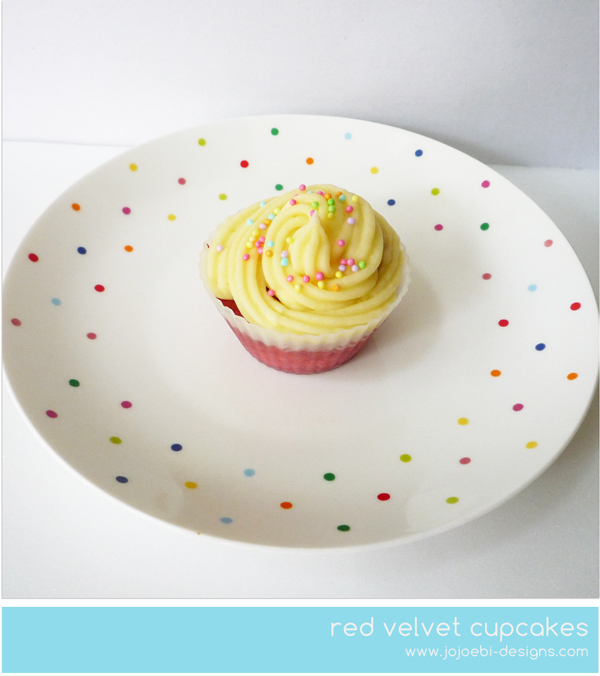 And look, the cupcakes match my plate! Yumm. You might want to look at the chocolate beetroot cupcake over at weelicious for another idea. And, if we add vinegar, or any other acid, to milk, that will make cheese and whey and not butter and buttermilk, wouldn't it? Yeah, been living the real life :) Yours is still the highest on my to-read list though!